Well its been a while since I last posted, but I am busy with other things at the moment. Every Christmas I always get the urge to buy Panettone, but I don’t always eat them until much later in the year. I decided I would try to make one this year. I have made brioche so I guessed it wouldn’t be too much different and it wasn’t! I found a recipe and ingredients from bakery bits They even have a kit with all the ingredients that you need and the recipe online. I must say I am proud of these. I haven’t baked in a while and its just so nice to create something like this, can’t wait to cut in! After winning 1.5kg of Mexican cheese the other weekend I had to find some way of using it. People keep asking me if I’ve finished it yet! I had an idea of using it in cornbread, as cornbread is a Mexican creation. I made 2 versions, the first without carrots, and a second version with carrots. 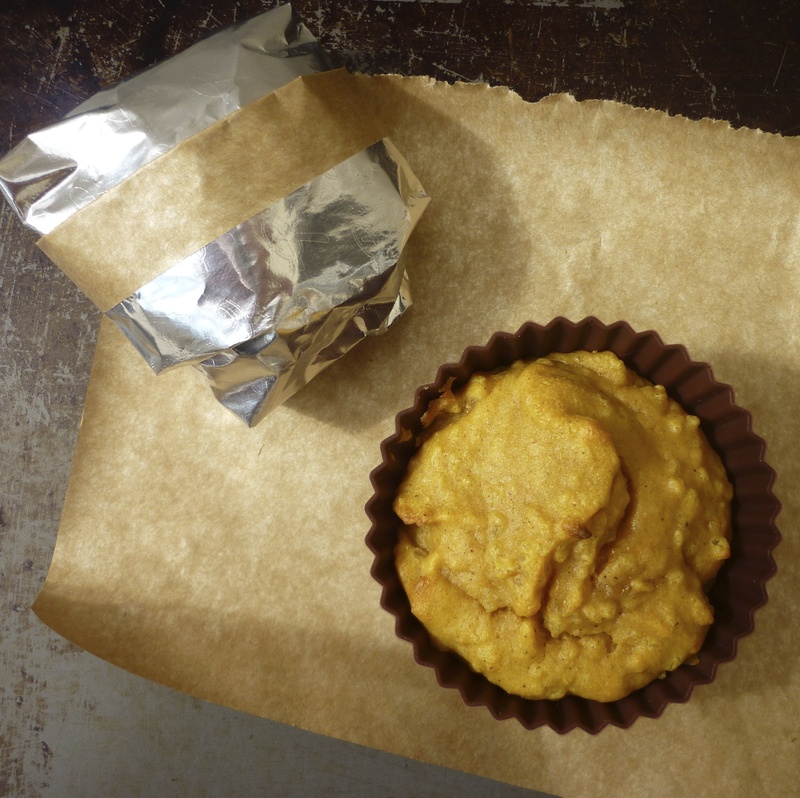 I think cornbread would be a great portable food, as it is slightly savoury, so would satisfy those cravings for something salty on a long ride. I think if I was making it for ride food I would omit the chilli cheese, and carrots to make it more easily transportable, and digestible. Here is a link to the carrot cornbread recipe I added 100g of the Mexican cheese to this recipe, but you could add another cheese or leave it out altogether. There are plenty of other recipes too which do not use carrots, and you could bake the cornbread in muffin cases to make them easy to carry. I couldn’t choose which bread to eat today! 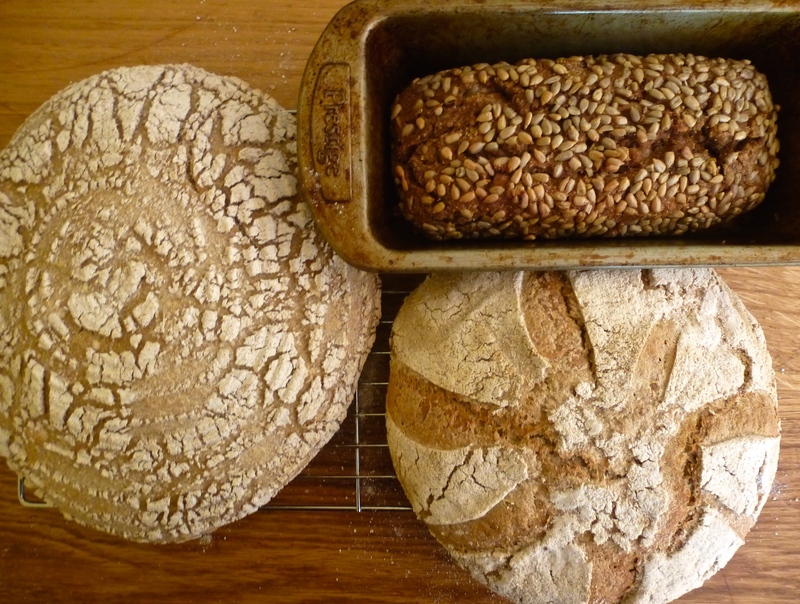 Now I’ve got into sourdough making, its so much easier than making yeasted bread, and tasty too. It keeps for longer, and I have discovered a beautiful pumpernickel recipe which is now one of my favourites. Bread made like this is nourishing and it feels like creating a work of art! Sourdough and pumpernickel, one sourdough had a much wetter dough. 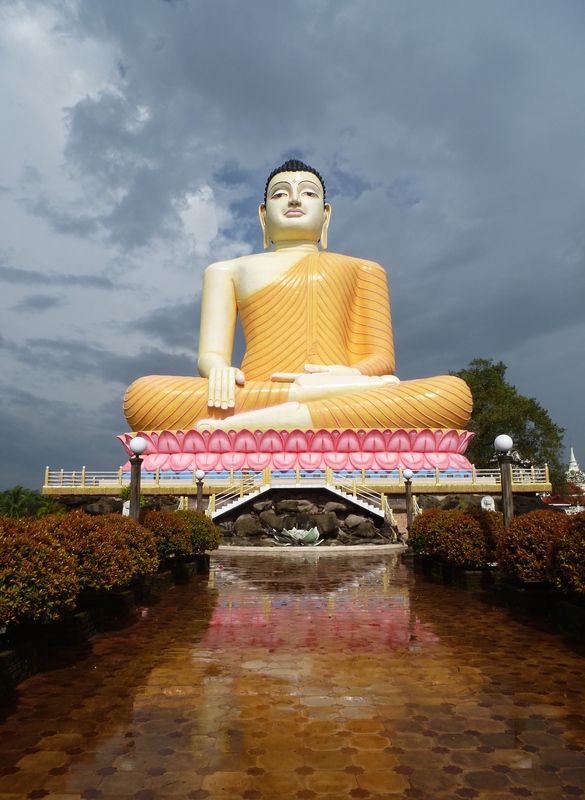 I returned, just over a week ago from a 2 week yoga holiday in Sri Lanka. I was really inspired by the food and produce over there, we had delicious curry, and fish. I managed to visit a couple of markets, which always makes me yearn for this kind of produce at home. The food is just so fresh and beautiful. so many different types of dried fish! My mum bought me a book when we were over there, which I used this week to create a Sri Lankan feast! Its always good to have some new inspiration, but also great to get home and get cooking again, after the luxury of having someone feed you every meal for 2 weeks! With more time on my hands I have been able to make more things from scratch. 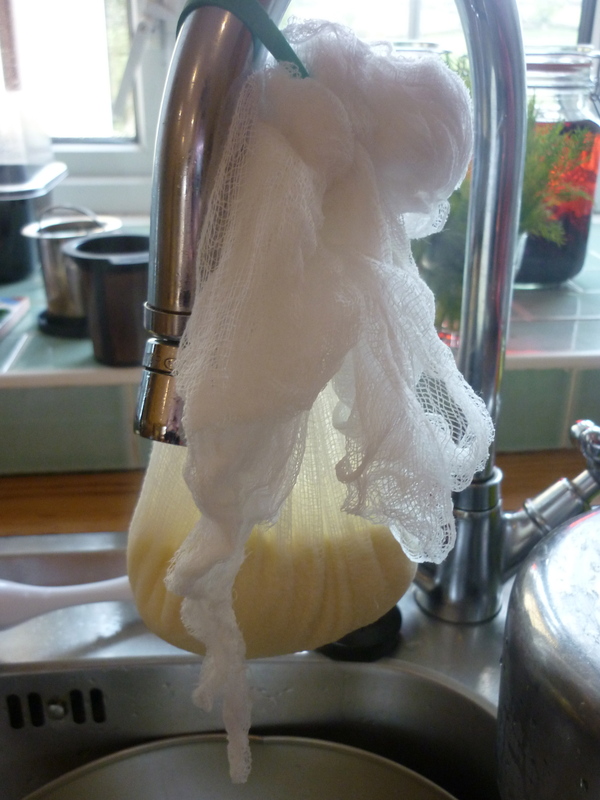 I had another go at making ricotta, after a failed attempt a few weeks ago. 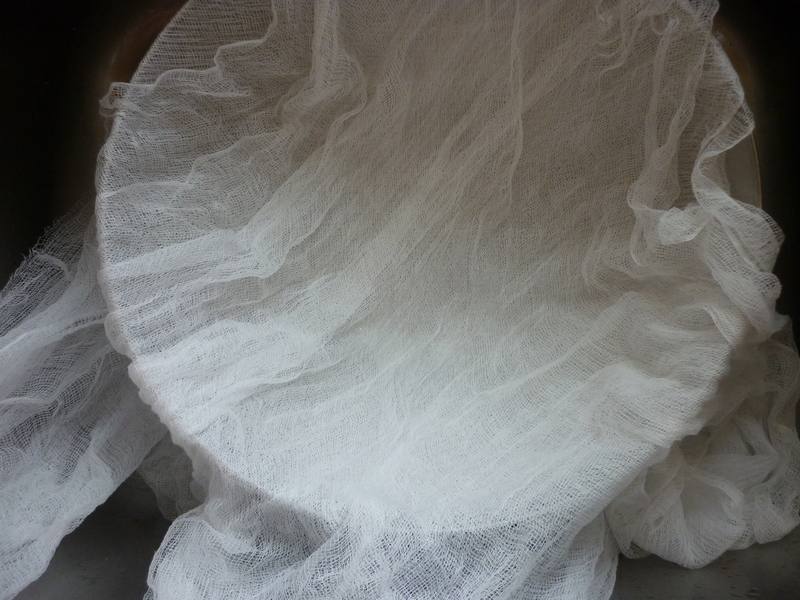 I bought myself a proper cheesecloth which looks beautiful! Ricotta is really easy to make, and I will definitely do it again, the cheese did not last long!! I had a text the night before my boys harvest festival, asking if I was making bread again. I wasn’t going to but couldn’t resist baking some rolls to take in. 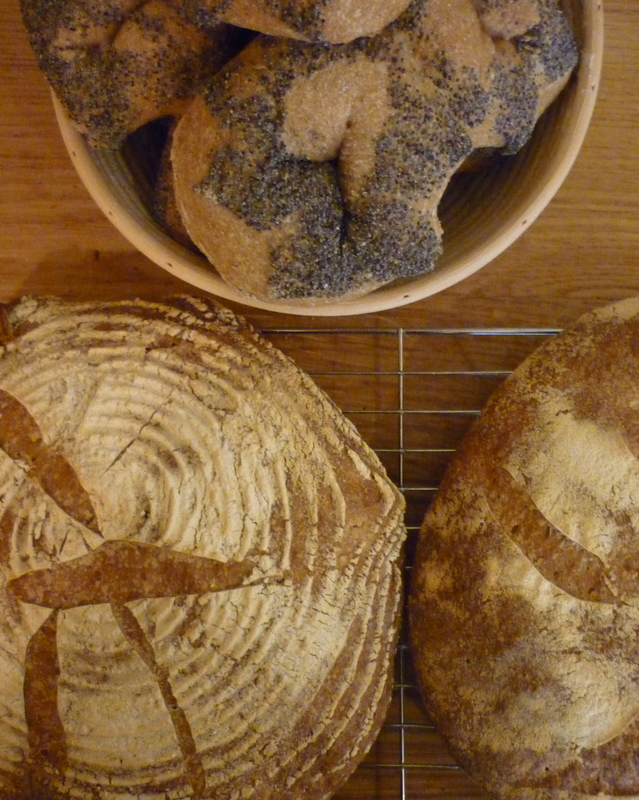 I already had a batch of sourdough on the go, so gave one of those for the raffle too! I went in to Tenby to get my hair cut, and couldn’t resist a Romanesco cauliflower. I just love these vegetables they look amazing. I turned it into a cauliflower cous cous, very easy!! I may have said it before, but I love this time of year. There is so much fresh produce around and I get to enjoy cooking, as I have been doing minimal excercise since Ironman Wales. My oldest son has discovered a passion for mushroom hunting (partly inspired by mine craft!) but it has meant that on Saturday and Sunday this weekend we went foraging in the woods for shrooms. We hit the jackpot with a beefsteak fungus, some chantrelles, deceivers, russulas, and slippery jacks. The beefsteak fungus, an amazing piece of nature! After reading about my tempting looking beefsteak fungus, I decided to have it raw in a salad, the books don’t rate it much and say it has an acid taste. I could not taste any acidity, (maybe thats because I smothered it in garlic dressing) I used a vegetable peeler to shave off thin strips, and found it delicious! It does look alarmingly like liver though if you are a vegetarian! Garlicky mushroom salad. 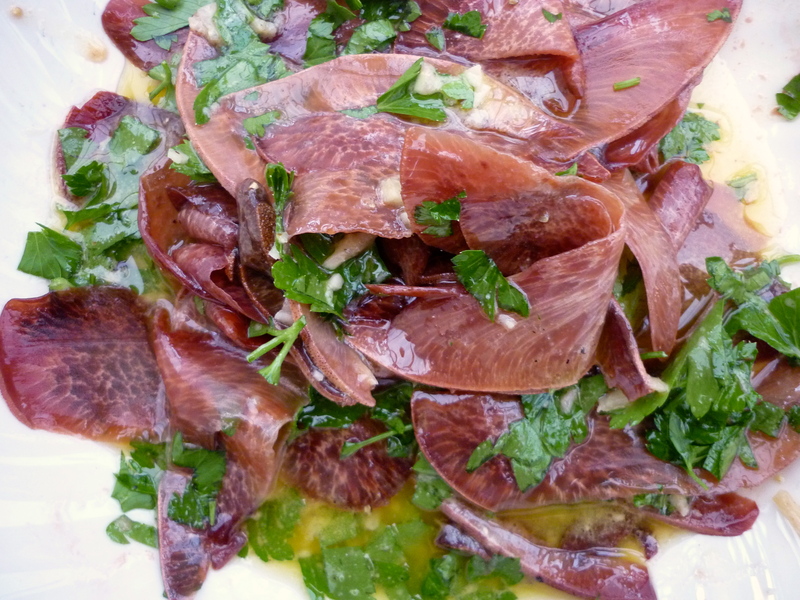 looks like carpaccio I think. I have also been processing apples from the garden, and have a few pots of frozen puree in the freezer now. I also got into the baking groove, as I had picked up some cute little eggs from my neighbour, got slightly carried away with my egg theme, (as I have in the past! see here) and made an apple tart, with creme patissierie, and creme d’amande, then used my remaining creme patissierie to make some Portuguese custard tarts. I also decided to do a lemon meringue! Good job I have a couple of boys to help me out eating the spoils! With less than a week to go before Ironman Wales, I have been making up batches of portables for the race. I made a variety of stuff and have put it in my freezer. Bacon, egg, and mushroom loaf. Some rice cakes…. I find them easier to transport when they are made into balls. And last, but not least, some sweet potato cakes, with cinnamon. Silicone baking cases are a must in my kitchen! So this time next week it will all be over, I’m sure that the food I am taking will help me have a great race, and I look forward to spending a bit more time in my kitchen when I have finished Ironman!